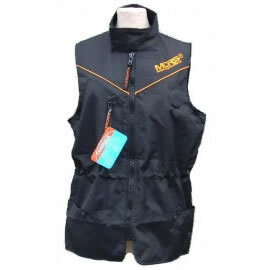 High quality 600D waterproof Denier Cordura® with strong original YKK® zippers. 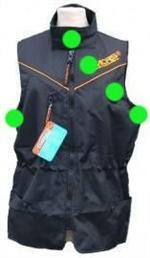 The MCRS® vest can also be used as normal Dogtrainers vest, this without the use of magnets. 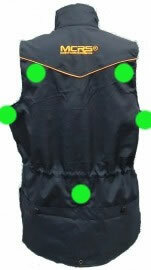 Works only in combination with the original MCRS® Magnet (can be put on max 8 different strategical places) and MCRS® Ball or MCRS® Biteroll. Each MCRS® Vest has a zipper on the left-inside, thrue this opening the magnet(s) can be put in the desired inside pocket.